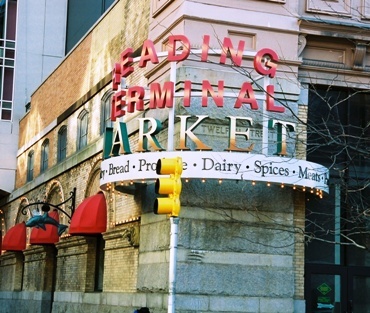 Located at 12th & Arch Streets adjacent to the Pennsylvania Convention Center, the Reading Terminal Market is a must stop for the visitor to Philadelphia. Located in the old Reading Railroad train shed, the market has over 80 merchants offering their wares to the public. Foods of all types are here. From fresh produce direct from Amish farms to seafood, produce and baked goods, it's all here. 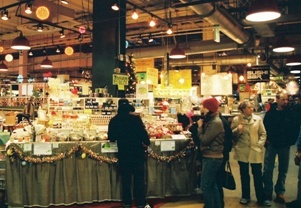 The Reading Terminal Market opened 1892. Over the years it had its ups and downs, and ultimately rebounded with new vigor with the construction of the convention center. Today it is the oldest continually operating farmer's market in the country. Numerous restaurants offer a magnificent selection of foods. 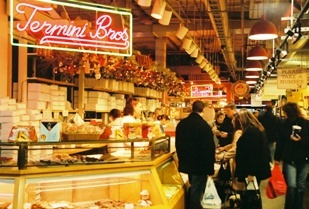 From cheese steak to sushi, it can be found in the market.